Yesterday Google announced a new feature for Webmaster Tools: a Mobile Usability report that shows what you can improve on your site to optimise it for mobile users. 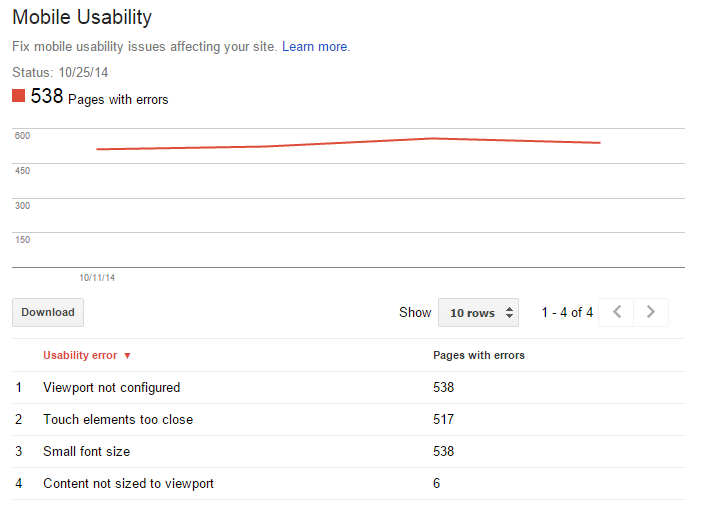 In this report Google shows you exactly what it thinks is wrong with your site that prevents it from working perfectly on mobile devices. Things like setting the size of the viewport, your font size, how easy it is for users to tap your links, etc – they’re all checked and Google will let you know when things are sub-optimal. This latest feature follows on from a recent announcement that Google intends to actively look at the user experience your site provides on mobile devices, and use it as a ranking factor. This new report in GWMT shows precisely which elements on your site Google is likely to use for that mobile UX ranking factor, thus removing any ambiguity about exactly what aspects Google is judging your site on. Not a week goes by without some new report showing the growth of mobile and the increasing importance of adjusting your business strategy to this trend. Yet so many websites are still not mobile friendly, or use an outdated approach to mobile optimisation (like separate mobile sites with all kinds of duplicate content issues). It seems Google too is tired of the sluggish way businesses have chosen to adopt to the mobile landscape, and is now actively forcing their hand. 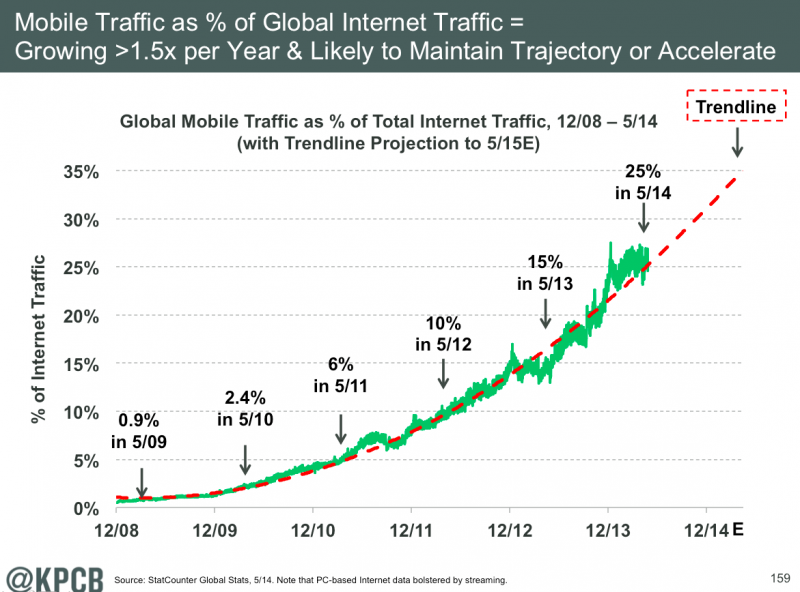 Either you optimise for mobile, or you’re left behind. Google is intent to claim dominance on mobile as well, and the best way to do this is to make sure they’re seen as the best provider of mobile services. Mobile search advertising is a pivotal aspect of Google’s long term strategy, so they need to deliver the best mobile search experience to beat their rivals. Now that Apple is taking steps away from Google by adopting Bing as their default search engine in iOS and Mac OS X, Google wants to reclaim Apple users by providing a much better mobile search experience. The message to webmasters is clear: adapt or die. You either embrace mobile wholeheartedly and work hard to deliver an optimal mobile user experience, or Google will simply leave you behind.